I’m writing you to let you know of some unsettling developments for my published stories. In the past, I’ve enjoyed participating in Amazon’s Kindle Unlimited Program for the Fjorgyn series and had originally planned to include other books in the program. But, through no fault of my own, Amazon KDP Support has threatened my account with suspension for activities I am not responsible for. I have not and never will violate any single platform’s marketing guidelines. Despite trying to clear up this mess, there is little to no guarantee it will not happen to me again. Because I could risk having my account shut down, with Amazon offering little recourse to resolve the issue, I have been forced to remove all of my works, present and future, from the Kindle Unlimited Program. I have also canceled my personal membership with the program. I refuse to pay for a service that treats content creators this way. I am not alone in this. 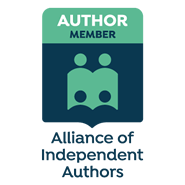 Hundreds of other independent authors have been subject to maltreatment over this program, many losing royalties, having their book ranks stripped, and having their accounts shut down for malicious activity that targets them. Instead of attacking the bad actors, Amazon has decided it is perfectly fair to attack the victims of this scam (the authors). What does this mean for you? Well, if you’re not a paid Kindle Unlimited Subscriber, absolutely nothing. If you are, however, you will have to purchase my books at the list price. You will be able to do so on Amazon, iBooks, Barnes & Noble, Kobo, and other platforms. It pains me to remove the Fjorgyn series from Kindle Unlimited. I know many KU readers who have enjoyed reading my books using it. I thought it a valuable relationship and hoped to continue the rest of the series in the program. If you wish to read the remainder of the Fjorgyn series or other books and are unable to afford the purchase, please reach out to me directly. I’m certain we can work something out. I tried through your first three fjoryn books in less than two days. I love your premise and the great storytelling in them. I cannot wait for the next installment and will read it in any format you publish. Keep up the great work.